Experience is vital when you employ a bookkeeper. We specialise in the cloud and co-ordinate your cloud based programs to ensure smooth , single entry flow of information. At The Bookkeeper Hub, we do everything we can to assist you to run your business, whether this be fixing, training or doing the whole kit and Kaboodle. We love working with business owners to streamline their processes. With cost-effective pricing policies, great service and quality results – The Bookkeeper Hub is proud to be a thought leader in the Bookkeeping Industry. 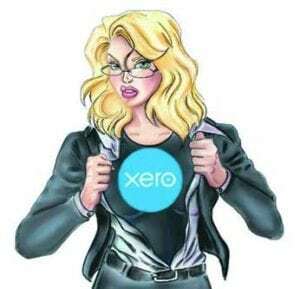 We are experts in Xero, WorkflowMax, Receipt Bank, Shoeboxed & Deputy. With great relationships with other Xero Ecosystem Add-Ons, we are your one stop shop for your bookkeeping needs. The answer is simple – because you have better things to do! Let’s be honest, most business owners hate doing the bookwork. When you think about it, it’s a tedious, time consuming process that brings you no monetary return, unlike working in your business. Most importantly, be able to use your system to make quality decisions about your business rather than flying by the seat of your pants. Most business owners are great at what they do in their business but lack the knowledge of legislation and/or good accounting systems. This leads to stress and the overall hatred of doing the bookwork. Most importantly, your time is best spent on operating your business, doing what you do best, not administrative tasks that you don’t enjoy. If by chance you do like to do your own bookkeeping, we can help cut down on the time taken by providing training or helping out when you get stuck. Catch-up jobs are our speciality. We work with you to achieve all your Taxation & BAS deadlines. Our subscription model means you don’t pay by the hour and we don’t cost the earth. We’re all about doing things efficiently. We do it once and do it right. Our QA System doesn’t allow for half measures. Our Training Team are Fearless. With over 20 years in accounting, there aren’t many questions you can ask that throw us for six. We work with your accountant to get the best results for you.